On the + side : The top notch staff. From greetings to room service, the staff is always smiling, available, and caring. 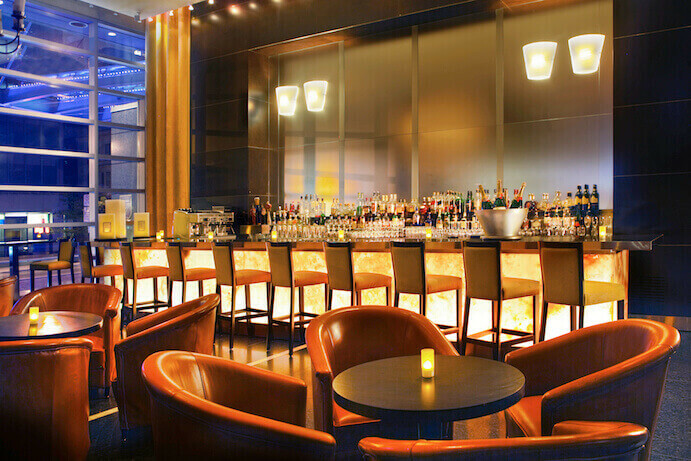 Modern and refined, the Montreal Sofitel is one of the jewels of the French hotel chain. When a businessman bought the Van Horne house in the 70s to transform it into office tower, the city heritage defenders protested the acquisition to no avail… The venerable Victorian building that used to belong to William Cornelius Van Horne (North American railroad pioneer) was demolished to be replaced by a twenty-story high building. 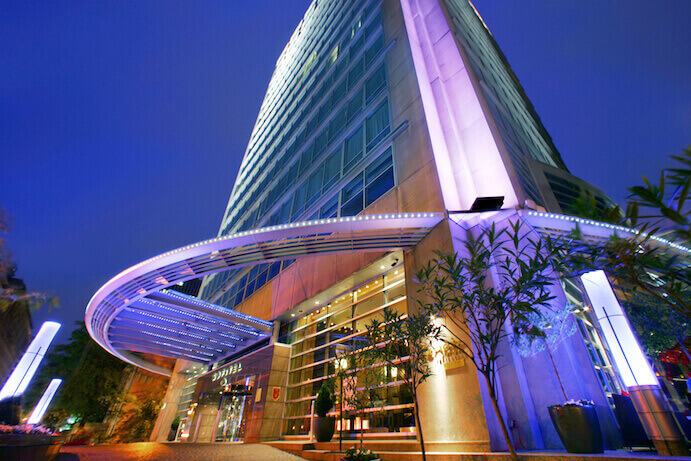 A few years later, the office tower was transformed into a hotel. Some of the elements of the Van Horne house, such as the chimney and the chandelier that had been stored away, were integrated to the decor of the hotel. They are now featured in the hotel lobby. 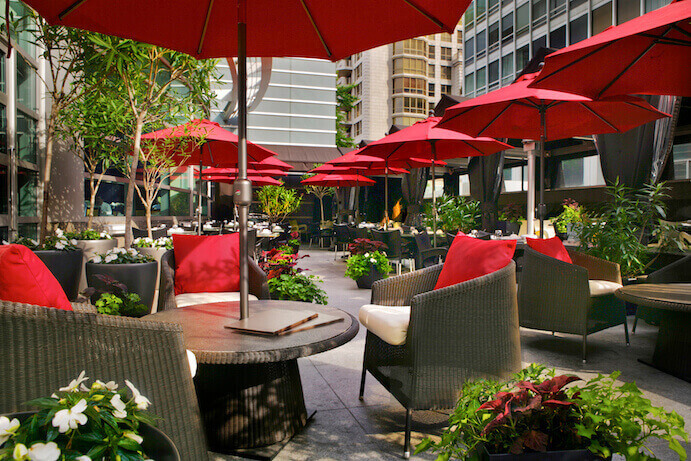 Located on Sherbrooke Street, Sofitel Montreal is an example of the French art de vivre. 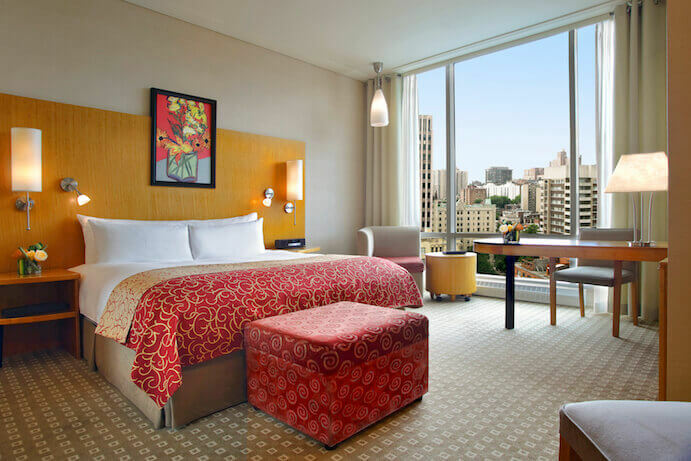 Constantly updated since its opening, this 5-star features 241 rooms and 17 suites spread out on 17 floors. With their contemporary design and spaciousness, they feature an amazing view of downtown or the Mount Royal. Like it is the case in all the Sofitels of the chain, each room features a SO bed that is very comfortable with its goose feather mattress. Each unit also boasts a coffee machine, an iPod Bose station, a flat screen television, and free wifi. Lanvin toiletries are available in the bathrooms. Like for many hotels in North America, the windows cannot be opened. 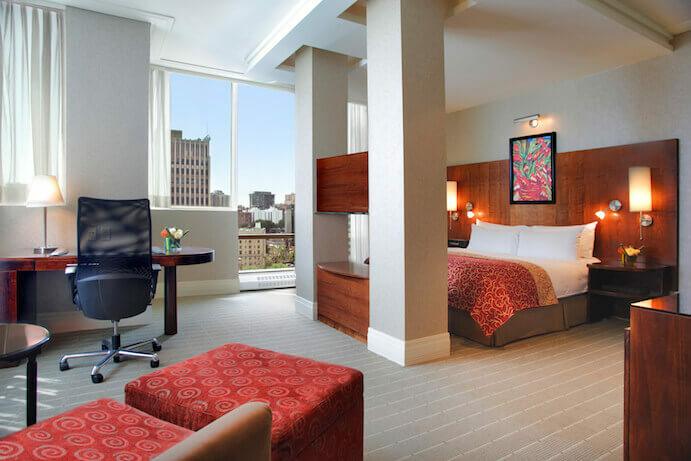 In the top floors rooms, that are a little more spacious, the bathrooms feature marble showers. The staff is caring and always ready to lend its support. 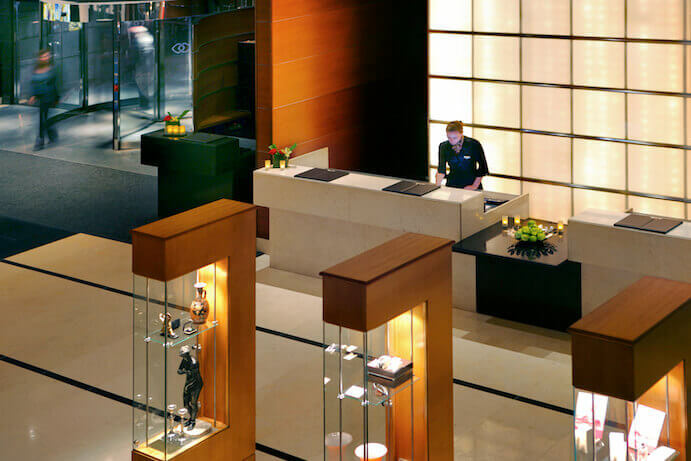 The staff is always available and smiling, the valet service is impeccable, and the concierge is devoted and always helpful. 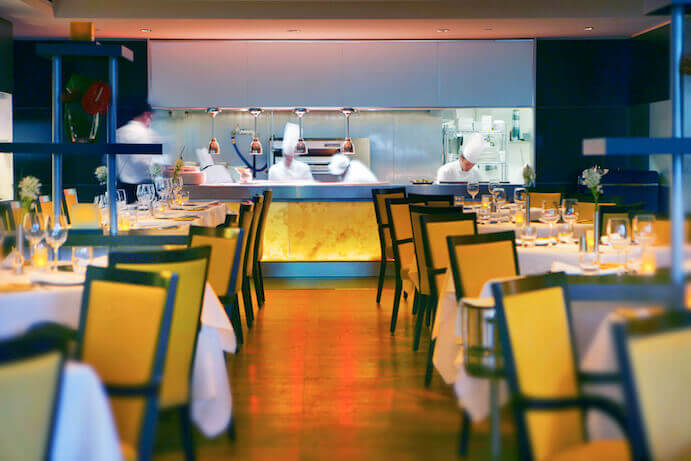 Le Renoir Restaurant and its terrace are open during the summer between 6am and 11pm and features a market-cuisine of local products cooked by the creative French Chef Olivier Perret. On the down side, breakfast is not included in the price of the room. 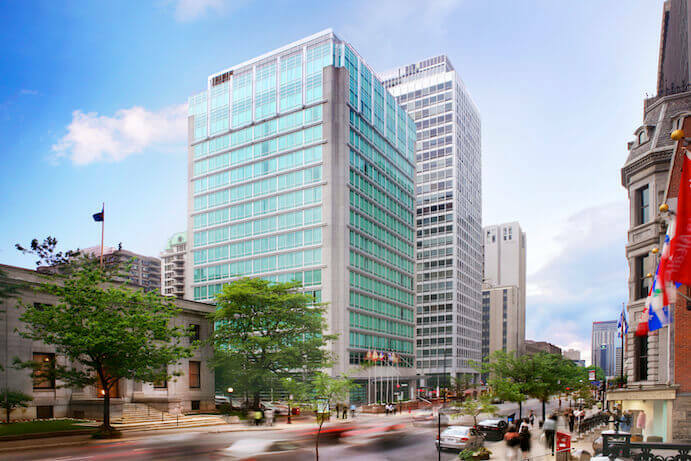 Located in the ‘Golden Square Mile’ near the Mount Royal Park, right by McGill University and Peel metro station (line 1 – Green), the Sofitel is also close to the Fine Arts Museum and the underground city. Also nearby are Crescent and Sainte-Catherine Streets, renowned for nightlife and shopping.